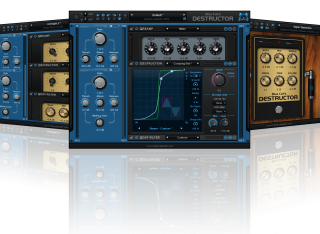 You will find here some skins to use with the Destructor product. To use a skin, download the file, unzip it and then select the unzipped skin in your plug-in user interface (see the user manual for more information). DISCLAIMER: The skins you can download on this site are the responsibility of their author. Blue Cat Audio is not responsible for the content of these skins. In case you find any issue with the content of a skin, please contact us so that it is removed from this site. No skin found for this product. If you did not find the skin you are looking for, learn how to create your own skins, and share them with the community!